For a limited time, we are offering a farm to school program, bringing your second through fifth grade students a highly educational program with talks about farming and the health benefits of eating fresh locally-grown produce. 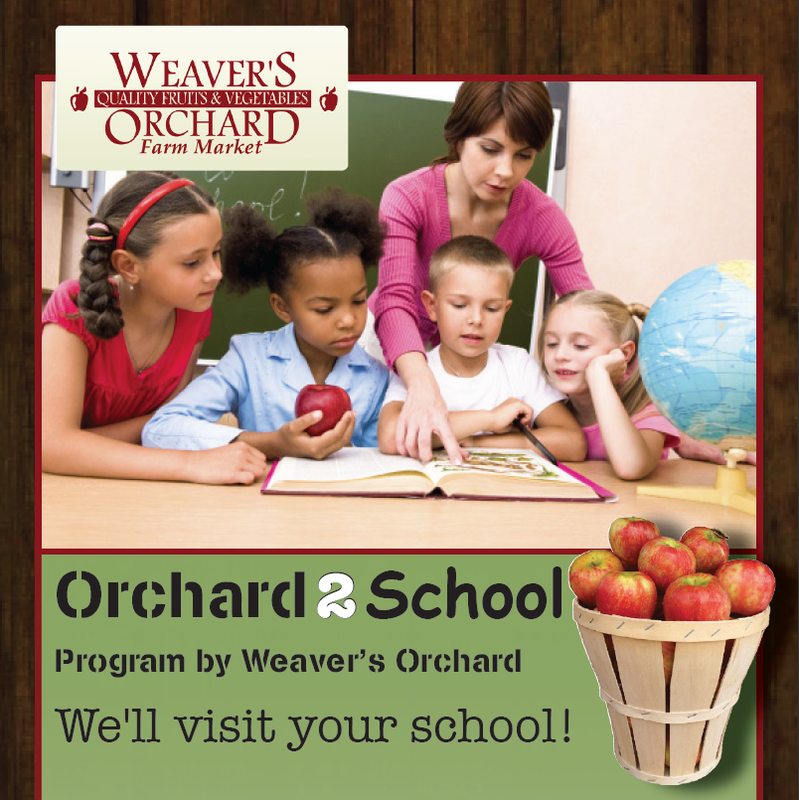 Request an experienced, enthusiastic speaker from Weaver’s Orchard to come teach your students about agriculture and nutrition, plant a seed, taste-test some apples and watch an engaging video about our farm. Our farm-to-school program grew from an increasing number of requests to bring educational programs into schools, and we have been eager to help the next generation learn about agriculture and appreciate healthy local food. This is an excellent way for students who may not be able to come to the orchard to learn the value of choosing fresh, local foods. Cost is $4 per student. Please call for details: 610-856-7300.